We can’t say anything about coolers that haven’t been said already. 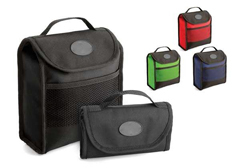 These range from small bags with waterproof linings to larger bags that are perfect for picnic or camping trips. You can also just use these simply for holding your lunch. However, the most important part about all of these is that they can be branded with your logo. This helps to spread your brand to the world, if you want more info just call one of our consultants and they will be happy to help you. If you already know which ones you want, or you just want a hundred of each, you can fill in the quick quotes form and we will contact you within 24-hours.